Cornelia Tipuamantumirri was born adjacent to the present day barge landing at Pirlangimipi, around 1930. When she was a young woman she would assist young weavers to aquire skill and knowledge in this artform. She would also teach the young ones traditonal Tiwi dance. Cornelia Tipuamantumirri married Steven Tipuamantamirri as a young lady and has one child, a daughter, Dolores Tipuamantamirri. 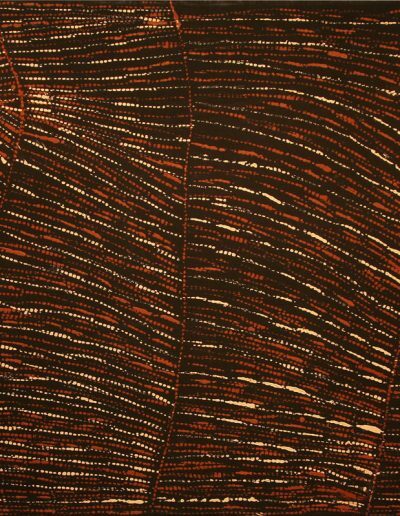 Cornelia Tipuamantumirri also helped raise a young boy from Peppimenarti, Harry Wilson, who was part of the Stolen Generation sent to Pirlangimpi and later married the wellknown Pepperminadi artist Regina Wilson. 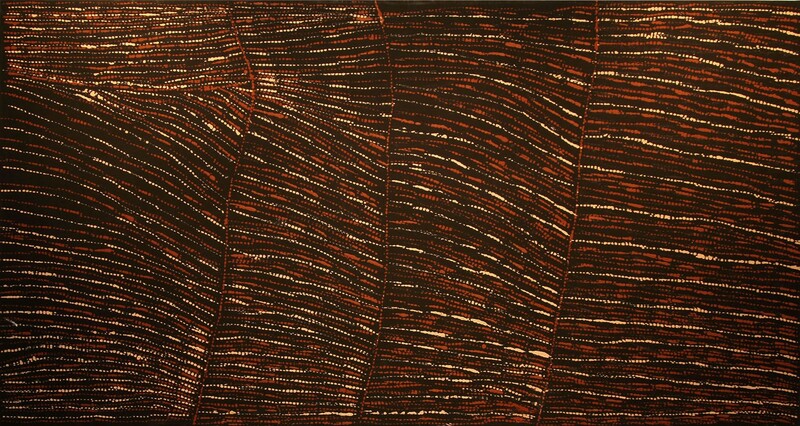 Cornelia Tipuamantumirri uses the kayimwagakimi for her work, dipping the comb shaped carved ironwood into her ochre palette; shades of pinks and yellows to portray the reflections of her long life lived on the Tiwi Islands. Reflections also, of the skyes’ lights on the surface of the Arafura Sea.